Before things get too hectic with senior year, use the end of the summer and the start of the school year to finalize your school selections, create your Common Application account and school-specific accounts, and begin completing applications. Deadlines will approach at warp speed, particularly as homework assignments mount, extracurricular activities increase, and senior year festivities get underway. Create a target list that contains schools that vary in competitiveness. I remind applicants repeatedly: applying to all eight Ivies does not diversify one’s college list. And adding Stanford won’t help either. Instead, identify the key elements of importance in schools where admission is more stringent and find these offerings in schools where admission criteria are not quite as selective. This is how you will create a list that demonstrates a range of schools. With multiple deadlines and various requirements for each application, you should create a master calendar to keep track of looming deadlines. The best way to do this is by thoroughly going through each of your school’s application requirements and logging each component. Many schools also have an online system that indicates what items are still outstanding. Be sure to check your application status regularly as well as your email account so that you don’t miss important reminders and messages. 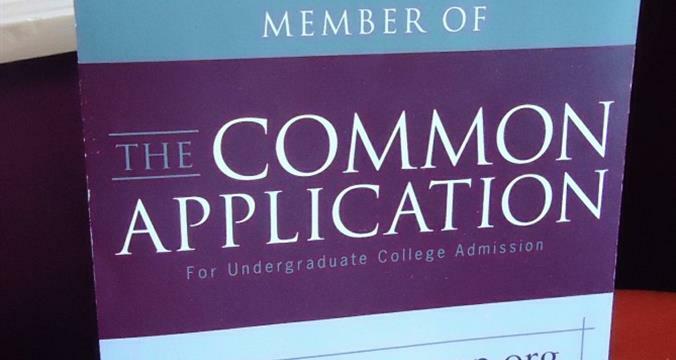 The college application process is a two-way street, contrary to popular opinion. Demonstrate an interest in your target schools by visiting the campus, signing up for a class or overnight (if feasible), engaging with alumni, and signing up for webinars and virtual Q&As. Additionally, don’t be afraid to call the admission office with questions or reach out to professors. The key here is to be smart about your contact. For the most part, the people to whom you are reaching out are bright; don’t call with questions that could be easily answered by navigating the college’s website. Also, we don’t want anyone filing any harassment suits here, so when you make contact make it meaningful and not repetitive. Increasingly, I find that students strongly dislike- dare I say- loathe the college essay. In all fairness to students, however, the college essay is challenging for a few reasons. Often, this is the first time that you have an opportunity to write in this capacity. Typically, for most high school writing assignments, students have some sort of clutch, otherwise known as a text, on which they can rely. But this is not the case when it comes to the essay, and you are completely on your own to come up with an original masterpiece that is compelling and concise. This is also probably the single most impactful piece of writing you will have completed up until this point in your life. I’m not suggesting that the essay is the end all, but it can be a differentiator among applicants that can either tip the scale in your favor or move your application in the other direction. The essay is also challenging in that you are limited in how much time you have to create this masterpiece. 250 words? 500? We’re not talking about a lot of wiggle room here, which makes the selection of each word that much more important. So don’t blow it by writing one draft and submitting it. Solicit feedback from a select group of trusted advisers, people who know you and are familiar with the application process. You may have to write and rewrite and rewrite and rewrite until you have an essay with which you are satisfied. So don’t get too wedded to that first draft. There are increasingly more early admission options out there, so consider taking advantage of them. This allows you to spread your applications out over a few months rather than trying to get everything in by the popular January 1 deadline. Applying early also allows you to find out about admission much earlier than the typical spring announcements. There is a misconception out there that applying under an early program will make admission easier. This is not necessarily the case, and an increased admission rate for students who apply early is sometimes more a reflection of the caliber of applicants who decide to apply early rather than lowered standards. Just keep in mind, however, that you should know whether the early option is restrictive (binding, no other early applications submitted, etc. ), so be sure to do your homework to figure out an early strategy that works for your application goals and will keep you in compliance with the rules. For some reason, lots of teens are under the impression that they work better under pressure. I would challenge you, however, to question the use of the modifier “better.” The truth of the matter is that you’re probably not working better or smarter but merely working because the deadline is quickly approaching. Instead, give yourself time to thoroughly complete, revise, and rework applications so that the application you submit is a reflection of your best work and not the result of having run out of time. Here’s another important life lesson: your looming deadline does not necessitate a sense of urgency for everyone else, so remember to make requests of counselors, teachers, and other recommenders in plenty of time so that your application submission is not delayed. As you write and rewrite your college essays, resist the temptation of including every word you learned while studying for the SAT. Conversely, don’t write in too elementary a fashion and then expect to randomly and regularly use the thesaurus to “upgrade” your essay. One point that I consistently try to drive home to college applicants is to write organically and to engage the senses. Remember- admission committees may be pouring through thousands of essays. How will you stand out? Take the reader to the experience you are describing. If you have not painted a visual picture or drawn them in with a pungent smell or bone-rattling temperatures, etc., go back to the drawing board. I’d be willing to go out on a limb here and say that many of your high school peers will be applying to the same 7-10 schools. Part of this is name recognition and familiarity. If you live in California, chances are most of your peers are familiar with and will be applying to many schools in the UC system. If you live in Texas, UT Austin, Baylor, Rice, and Texas A&M will garner lots of interest and subsequent applications. And of course there is the northeast corridor that is wildly popular among college hopefuls the world over. But imagine the possibilities if you are willing to venture outside of your region. A world of new opportunities will open up, and you will likely stand out favorably since your peers will stick to that much more common and comfortable list.